Donald Trump’s presidency is as real as global climate change. 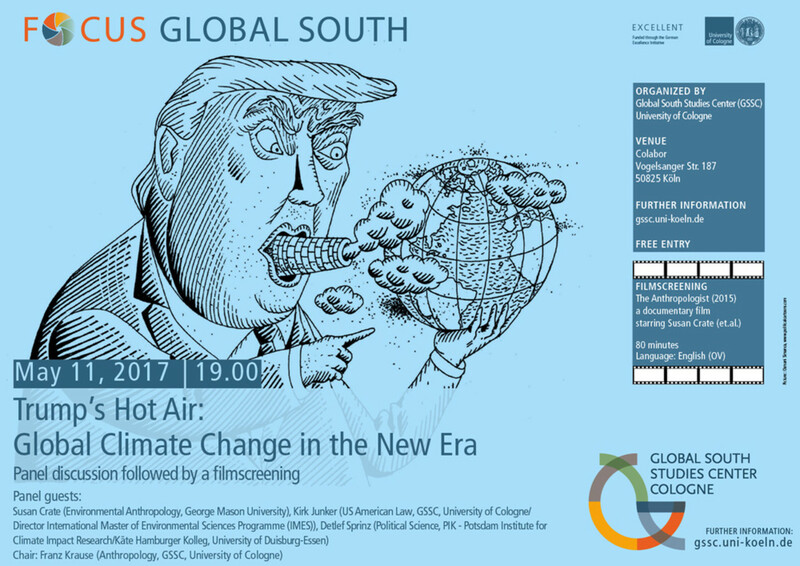 What should we expect from the coming years for the development of climate-related policies, international relations, and greenhouse gas emissions? The current US leadership has sent strong signals that environmental issues are not among their priorities. During his first weeks in office, the new president has issued a series of decrees and statements aimed at curbing previous climate change adaptation policies. Because climate change is a global phenomenon, this trajectory is likely to affect people throughout the world. This roundtable brings together an environmental anthropologist, an US law scholar and a political scientist to discuss the possible consequences of Trump’s presidency for global climate change, both institutionally and for vulnerable populations. To what extent are his statements and decrees mostly metaphorical hot air with little traction? And in what ways can and will his administration produce hot air materially by hastening climate change and jeopardizing people’s lives and livelihoods? 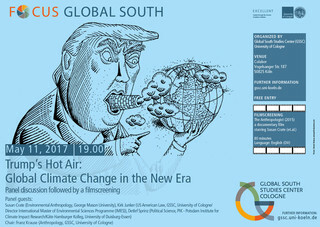 In der Veranstaltung diskutieren eine Umwelt-Ethnologin, ein Experte für US-amerikanisches Recht und ein Politikwissenschaftler mit Schwerpunkt Klimapolitik über die möglichen Konsequenzen von Trumps Präsidentschaft für den globalen Klimawandel. Sind seine Aussagen und Dekrete sprichwörtlich heiße Luft mit geringen realen Konsequenzen? Oder werden die USA unter seiner Präsidentschaft im wahrsten Sinne des Wortes heiße Luft produzieren, indem sie den Klimawandel beschleunigen und somit das Leben und die Lebensgrundlagen von Menschen weltweit gefährden.